Hi. I have the chance to buy a complete Prelude 4000A system. The only fault is the current owner has broken off the shaft of the Mode selector pot. Is it possible to replace these? Yes it is repairable in a number of ways – some easier than others mind you! The easiest is to take it to a professional that knows how to do it, I know of one who thinks it’s a breeze, though he didn’t elucidate on his methods – perhaps he considered it a trade secret! The easiest solution is to source the identical part IF you can get one. If you were talking about a SX or QX series you would have an easier time. You might need to get your hands on a broken down Prelude and cannibalise it. Then there is always the option to replace it with a modern replacement, you have to find one that is the correct size with the correct number of switches – not as hard as it sounds. However sometimes you have to get a little creative mounting /fitting these. Thanks, that link gives me something to work with. Any idea on how much a 4000a is worth these days? Hi, It all comes down to condition, but I would not want to pay more than $100 to 150.00 for one of these. 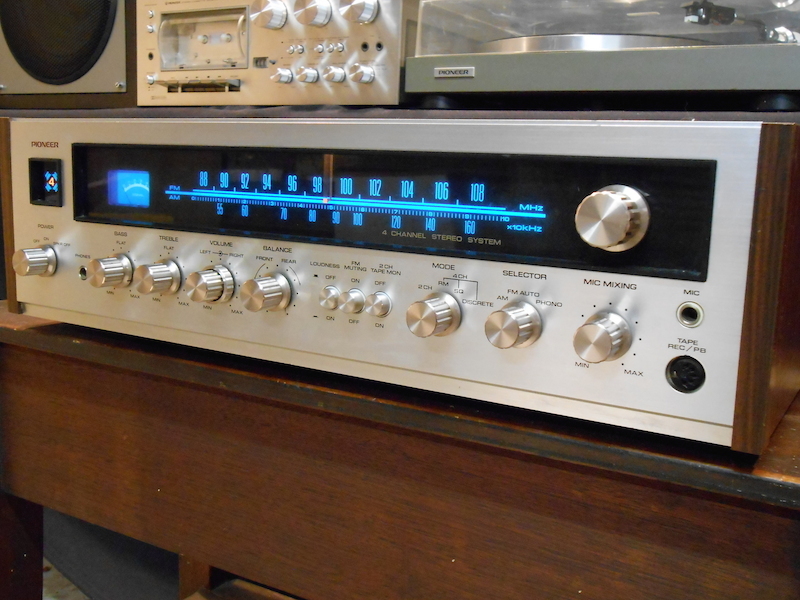 If your after a Pioneer Quadraphonic you would be better off looking into Pioneers QX Receivers.